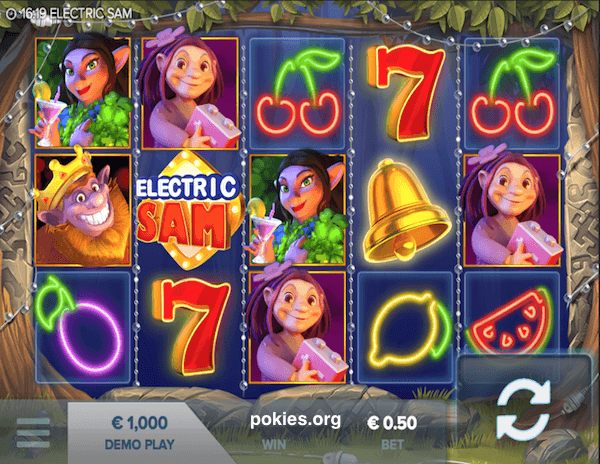 Electric Sam is an online pokie powered by ELK Sudios, and features a unique theme just like other games in this company’s portfolio. While Elk studios is not a big name in the industry yet, they do offer new games with amazing designs and features. The game has an original story-line about a friendly creature named Sam, who is crazy about electricity. Players that open the game will quickly see Sam plugging lights as he watches them glow. This is a five-reel online pokie that offers 243 winning combination. The playing panel is filled with neon fruits that coincide with the electric theme. There are several functions and special symbols that make the game exciting. There are no active lines within its common form, winning combinations are therefore formed from similar symbols dropped from out at any positions within neighboring reels. This makes it possible to make several chains within the same spin. The amount of payoff will then be calculated through special indexes made available by the table of each possible combinations. Play Electric Sam With $600 Free Now >> Play Now! 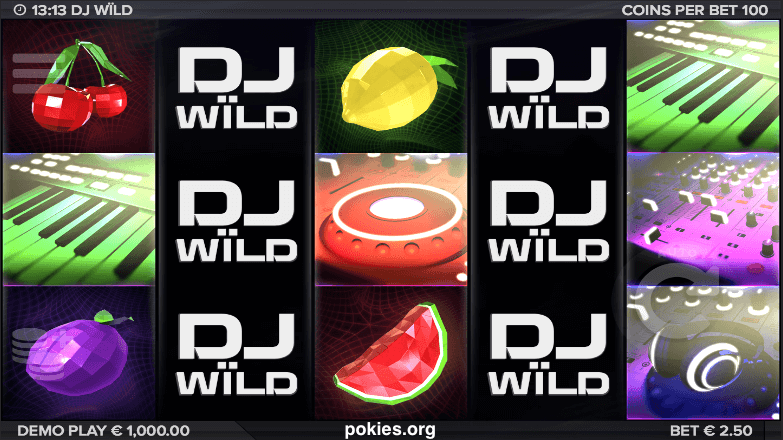 Special features in the Electric Sam includes sticky wilds, free spins, win multipliers and the standard wilds. The free spin feature in the game is set off when players score three or more golden bell symbols within the reels. Three bells with get You 5 free spins, four will result in 10, while 5 bells in any position on the reels will trigger the maximum amount of 15 free rounds. These can be re-triggered by getting additional 3 symbols too. 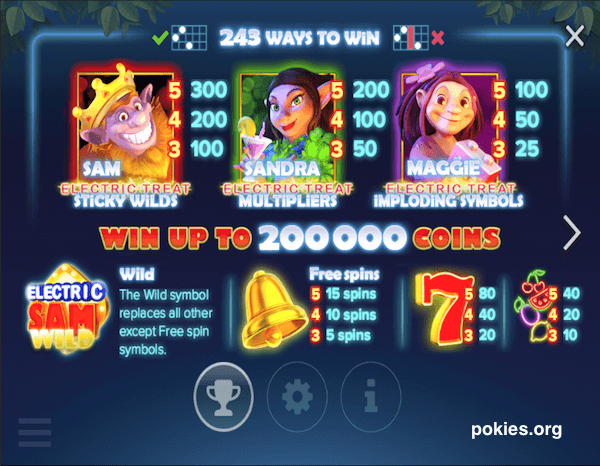 There’s a maximum payout of 200,000 coins offered and can be achieved when Sandra, the electric multiplier symbol, appears on the reels during free spins. Apart from this great maximum payout, the betting options are awesome too. There are also several coin denominations supported. This allows players to bet from about $0.20 to $100 for single spins. There are 243 winning combinations that increases your chances of winning. Electric Sam is a superb game that will appeal to many users and provide many hours of entertainment. It is better compared to other games since it comes with a unique and fun theme and very solid payouts. 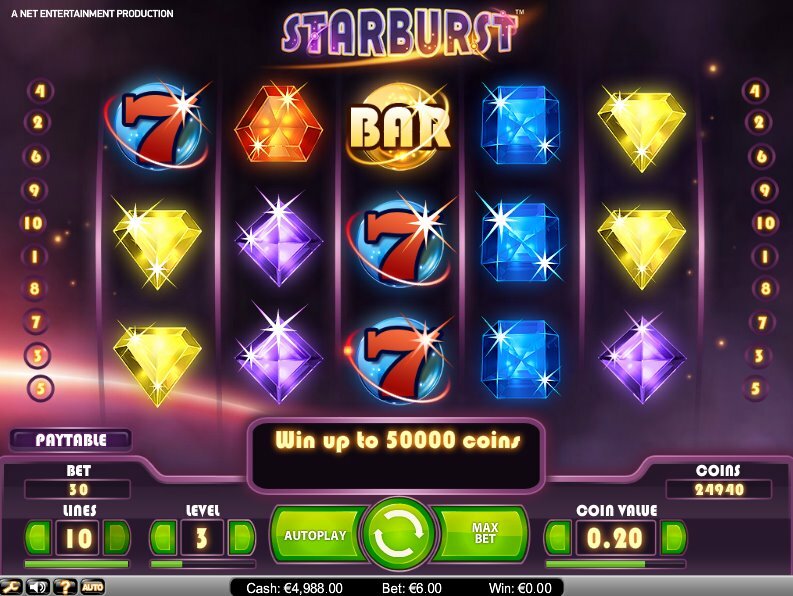 Players will also be attracted to the game since its free spins feature is very lucrative. 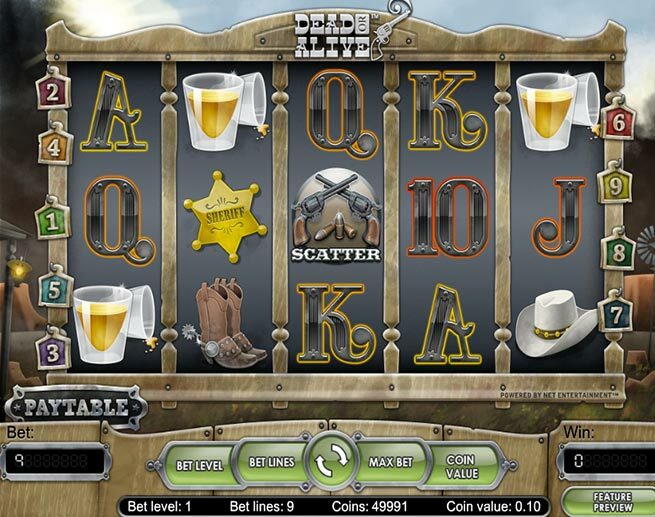 This game is therefore a great choice for many online pokie fans. It has small bets supported and will easily fit into any budget. Play it at all casinos that offer ELK pokies, such as Casino Room and Slots Million. These two are our favorites due to an already proven track record and generous sign-up bonuses. You’ll get $600 + 200 free spins from CasinoRoom.com while SlotsMillion.com offers $800 in free cash to all new depositors, over the first 8 deposits made.